Bartolome Mitre 1824, 1039 Buenos Aires, Argentina. It is a luxurious apart hotel with spa. 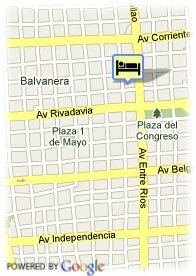 Enjoy the facilities of a modern and spectacular establishment in the heart of the Argentinean capital. It disposes 71 apartments of 30 to 50 m2, equipped with kitchenette, and conceived for long stays. The establishment also disposes of a full spa with sauna, hydro massage, Scottish shower and a large offer of body and face massages. Furthermore, there is a Business Centre and two halls ready to hold events for 50 to 450 people. The hotel is located at short distance from the National Congress, having easy access at the main entertainment and shopping centres of the city. 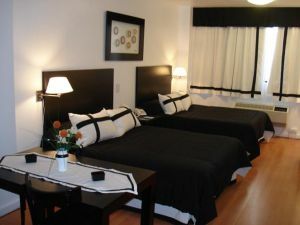 Hotel Howard Johnson Boutique Recoleta is located in the elegant Recoleta neighborhood of Buenos Aires.